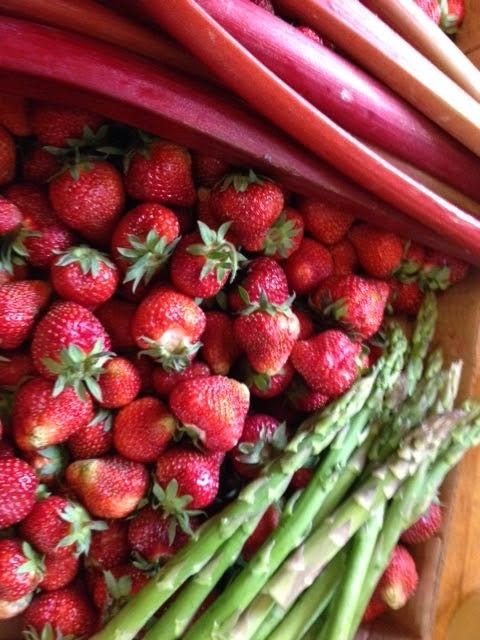 Lines from Linderhof: Strawberries and Rhubarb and Asparagus Oh My! I feel rich when I have a big supply of these spring favorites! But stewed! With a vanilla bean for flavor. Cold from the fridge -- for breakfast, lunch or dinner! And rhubarb season is all too short! It's also good for breakfast, lunch or dinner! is a good addition to a frittata! 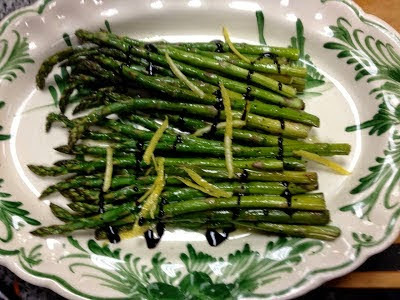 With a vinaigrette poured over! They (like tomatoes) are tasteless morsels! They're not even red all the way through! The inside is often white! Strawberries are good for breakfast, lunch and dinner, too! There's always a good dollop of whipped cream on top! And then there is the new favorite . . . Especially when you put a scoop of vanilla ice cream on top! And actually leftovers are good the next day! Or just before you go to bed that night! Preheat oven to 350. Mix together four, 1 cup sugar and butter in food processor (or with pastry cutter). In a separate bowl, toss strawberries with 1/4 c. sugar, vanilla and cornstarch. Butter a deep 8 or 9 inch casserole dish and pour in strawberry mixture. Top with crumbled flour mixture. Place on baking sheet to catch spill-over and bake until golden and bubbly, about 30 minutes. Serve warm with whipped cream or vanilla ice cream. I'm drooling over here! Deliciousness happening on your post! Not only the prettiest time of year, but one of the most delicious! Some of my favourites! Strawberry and Rhubarb Pie - sooo good! 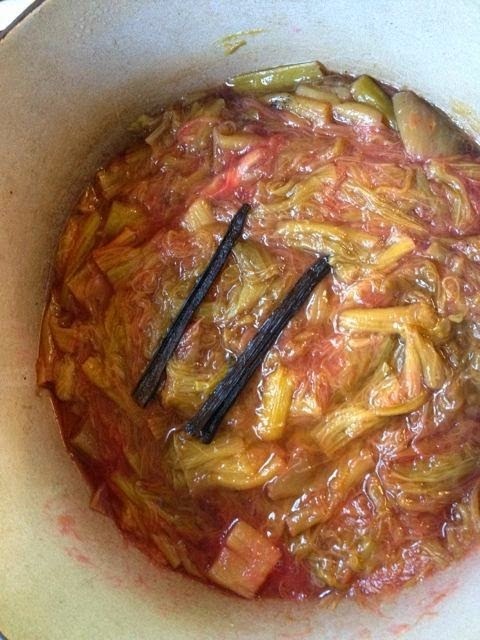 My mother always stewed rhubarb and we'd have it with a dollop of sour cream or over ice cream. She would also make a Cake-pudding on top of the stewed rhubarb. Lovely taste memories. Oh, My! I've been in absentia for a while, and look what's here! Three wonders of the plant world, served up in your favourite styles. Lovely. 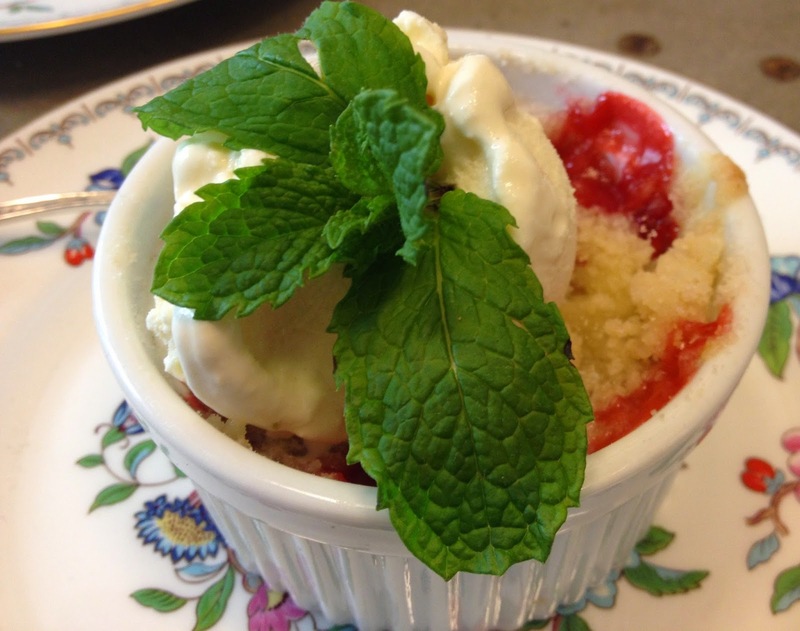 And that strawberry cobbler---what a lovely way to serve them. This recipe is especially special, for it sounds for all the world like that "Cuppa-Cuppa-Cuppa" under-the-hairdryer recipe in STEEL MAGNOLIAS.